Sherri Cassara Designs: My tree ... edited! I had the best weekend. My sister and I drove up to Brentwood to photograph a pediatric office that I designed and had lunch at one of my favorite places up there (The Coral Tree) and afterwards popped into Giannetti Home to check it out. I not only got to meet Brooke Giannetti but Kathryn Ireland as well - what a treat! The store is just beautiful and since Kathryn was there for a book signing, it was filled with her colorful fabrics and pillows. The store is definitely a must-see if you are up that direction. Brooke also has a beautiful blog, Velvet & Linen and you can see more of her store and read more about Kathryn Ireland's book signing here. Afterwards we went down to Santa Monica and watched the ice-skaters in the outdoor skating rink and browsed through West Elm and CB2. What a fun day. I also tackled the tree this weekend. I wanted to keep things simple this year. I like things simple as it is, but I wanted to take it even further than usual. I don't know if it is because of the economy, or because I have a lot of stuff cluttering up my head right now, but I think the more simple my environment, the calmer I feel inside. Part of simplifying for me right now is staying within my budget which seems to be shrinking every year. So when it came to thinking about getting the Christmas tree, I knew I wanted to keep it small. And I am okay with that. Friday we went down to our local Christmas tree lot and I told the guy, "I just want a cute little Charlie Brown tree." He told me what that was to him (very scraggly) and I said, "umm... no, I guess what I really want is just a small tree." So that is what we got. I think for as long as we have owned our house (23 years) the tree has always gone in the same spot... right next to the piano and in front of the french doors. And most years the tree comes up almost to the ceiling. 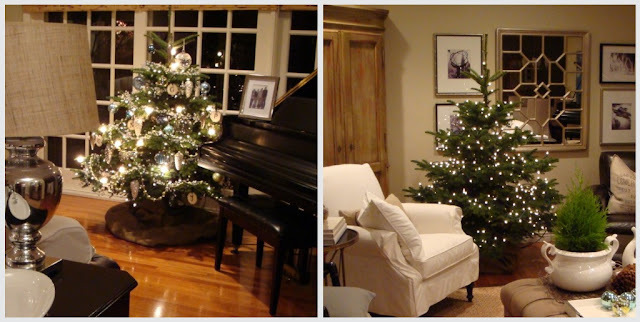 I don't know if it is because I am used to a nice tall tree or if it was dwarfed by the piano, but when we brought the tree inside it looked really short. When I first put the lights on the tree and it looked really nice. 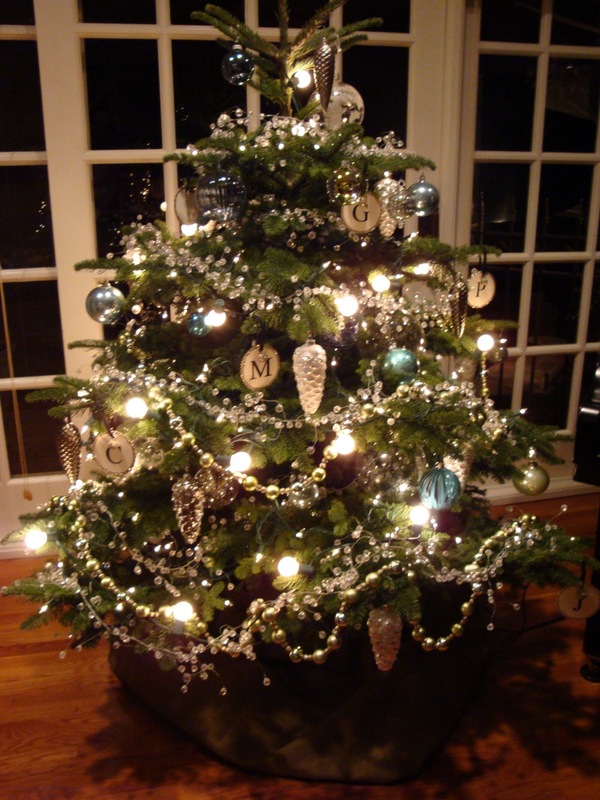 I liked simplicity of the green tree and the white sparkling lights - it just looked fresh and clean to me. And then I started putting the ornaments and some garland on. I tried to keep it pretty simple and used just a fraction of the ornaments I usually do and I thought it looked really good. A little sparkle, a little color ... just enough. But when I woke up in the morning and walked into the room all I could think was, wow that tree is really short. I tried to raise it by putting it up on an ottoman but that looked terrible - it is too big to be put on top of something. Then I thought, hmmm maybe it has too much stuff on it and that is making it seem out of balance. So I started taking off some of the garland and a few of the ornaments but it still didn't look right, so I kept going and pretty soon there was nothing left except the lights! And I liked it. The tree actually looked better without all the decorations, but it still looked out of place. So I moved some furniture around and moved the tree to a new spot. And it worked. It doesn't seem as short anymore. In fact, I think it looks just right. And I really like it with just the lights. Clean, simple and uncluttered. And I am laughing because I could have saved a lot of time if I had started with my end result. But life is not always like that you know... sometimes it is a process and takes time to get things right. And hey, did you know that you can rent, yes RENT a live Christmas tree? I checked into it but it was not as inexpensive as I wanted to go this year but what a great idea. You can pick the size and type of tree you want and they deliver and pick up. All you have to do is make sure it is watered. If you kill it, you forfeit your deposit. AND... you can get the same tree each year if you want - it is called 'adoption.' However, now as I am writing this I am wondering... why not just buy your own tree and keep it year round. Anyway, check it out here! 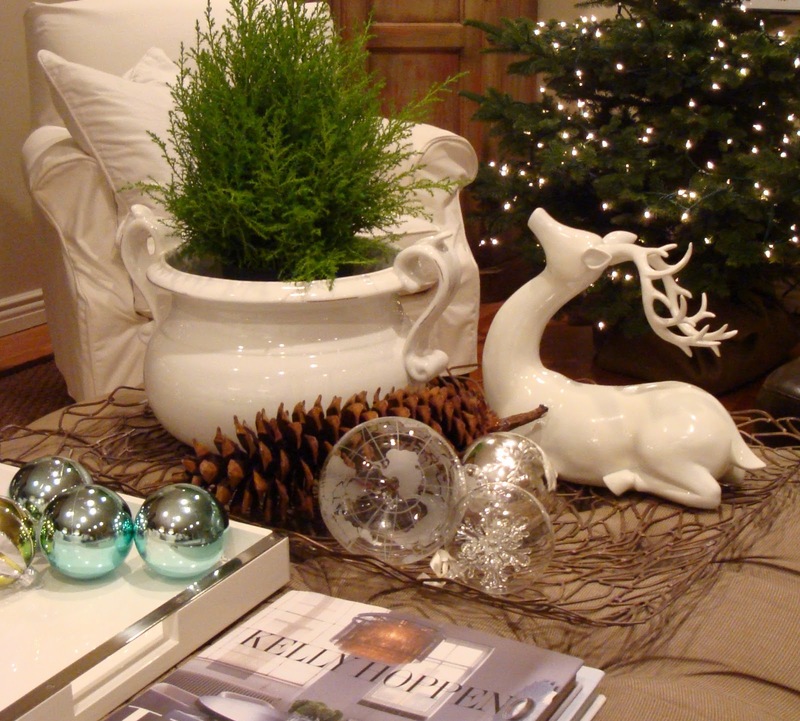 a live, potted tree delivered to your doorstep. It's fun, it's easy, and it's great for your home and the environment. 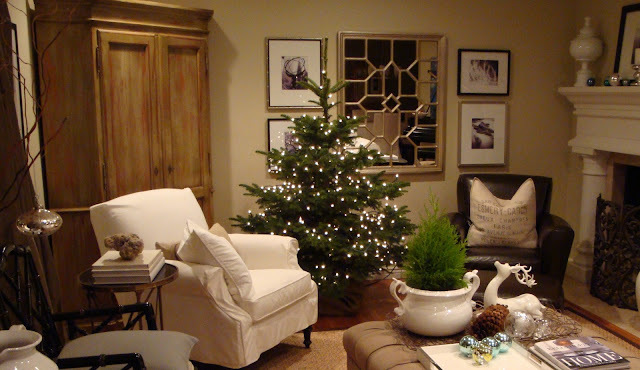 Simply choose one of our varieties of locally-grown trees and we'll deliver it to your home or business. After Christmas we will pick up your tree and return it to our nursery until next year. You can even watch your tree grow as your family grows by adopting the same tree year-after-year. I like both your trees, but I have to admit the lights only is very serene. "ALL IS CALM ALL IS BRIGHT, O HOLY NIGHT"
The tree looks great "uncluttered" and perfect in its new spot. Where will you put the gifts? It looks really, really good just like that. It looks so wonderful!! I love the greens in the white pot too. 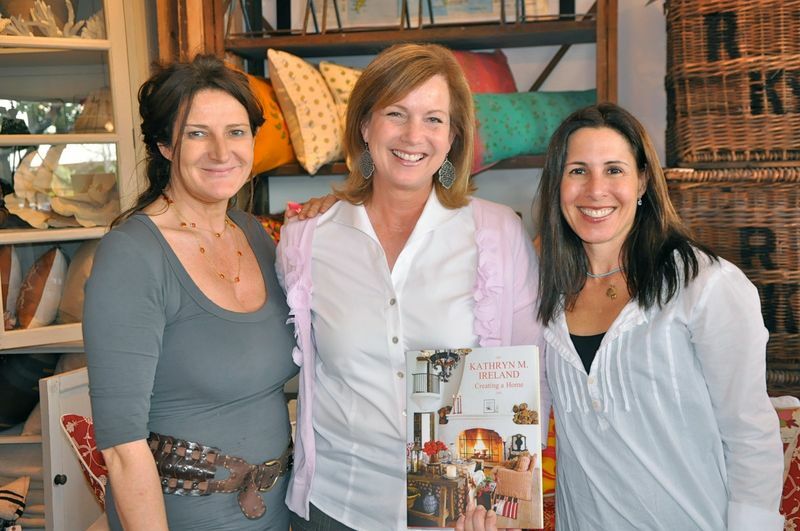 And how fun to meet Brooke and Kathryn Ireland. How breathtaking! I love the process and how you got to such a lovely result. And that white pot holding the cypress is so beautiful! I'm posting it on my facebook page next. Just wanted to stop by and thank you for your wonderful comments on my Christmas decor. I have to say that I LOVE yours as well, and your little tree is actually exactly what I wanted this year....! 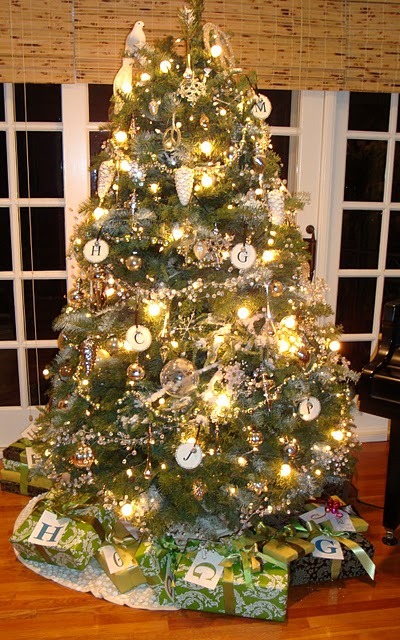 You did a lovely job of the tree, not to mention that your entire living room is just beautful! Thanks again for the encouragement, and have a Happy New Year! What color is your Jesus? What do you do with all those cards?